WaitUntilTheSunset: Giveaway: Ten November Movie Tickets! With Summer just around the corner and the holidays so achingly close, I love seeing the blockbuster movies coming out! I happen to think of myself as a bit of a film buff (*ahem*) and enjoy a spine tingling thriller, an edge of your seat adventure and a good rom-com! With movies like Crazy Stupid Love, Contagion, I Don't Know How She Does It and of course Twilight, there is something for everyone this November. And, the best bit of all- you could go for free! 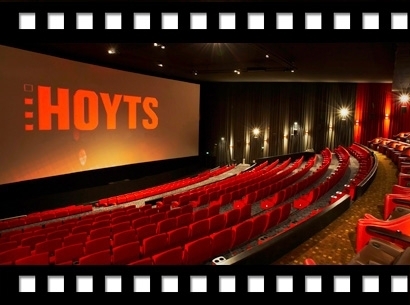 The amazing team from TrueLocal.com.au, are offering two of my lucky Aussie readers 10 HOYTS MOVIE TICKETS! The two winners will be drawn this Friday 11th of November by a random generator and the 10 free tickets will be in your letter box before next Tuesday! Very cool - am now GFC with you. I want to see the first part of Breaking dawn (from Twilight) and a heap of other movies. off to tweet for you! Aww...wish there were NZ movie tickets as well! I already follow your blog doll! I never enter comps either but would Love to win some tickets - the last movie I saw was Happy Feet! lol Enjoy your holidays! Errr, this is awkward, but seriously the new twilight one. I hadn't seen any of them until I read the books one long, cold week. Now I'm interested to see how they do the last movies. Awesome giveaway! I am a HUGE movie fan! Can't wait to see the international giveaway! not entering the giveaway, but wanted to tell you how adorable this blog is. I would love to see crazy stupid love !! love this comp way to go! Awe, there isn't any hoyt cinemas here. I would like to see 'I don't know how she does it'! I love November. It's the month before December, and so I've still got hope that I'll be organised this year, for once!